could not resume until 1952. By this time the building work bore little resemblance to the Development Plan that had been approved and started upon fifteen years earlier. 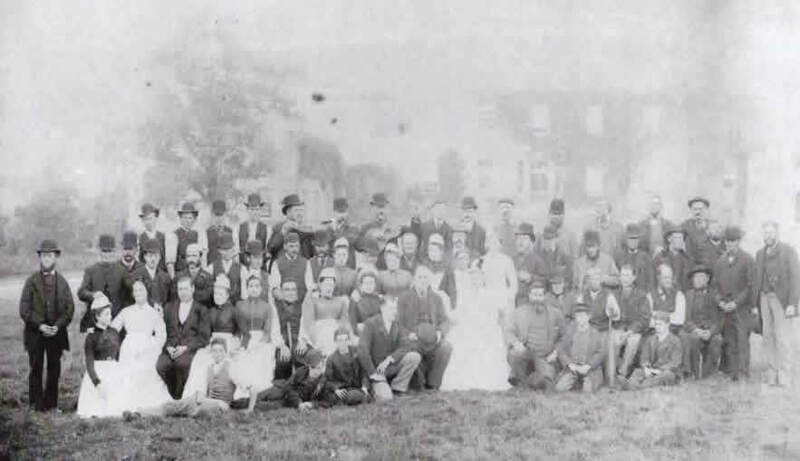 This had provided for the construction of in excess of 500 dwellings occupying 160 acres of land that was known as Montreal Park. How different the development would have been in both scale and character had the War not intervened. 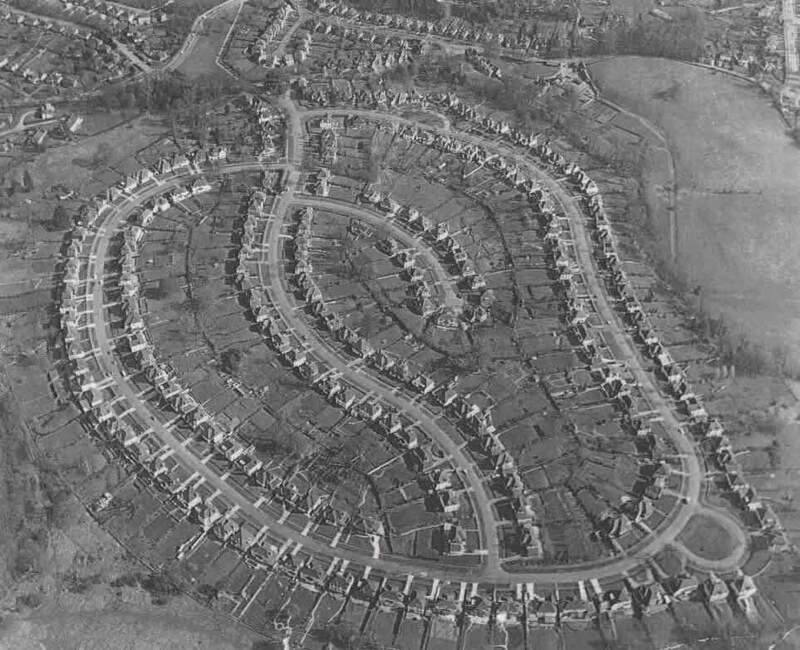 Instead in four phases between 1952 and 1963 Fasey constructed a housing estate much as we know it today. national hero with influence - if not wealth - at Court. 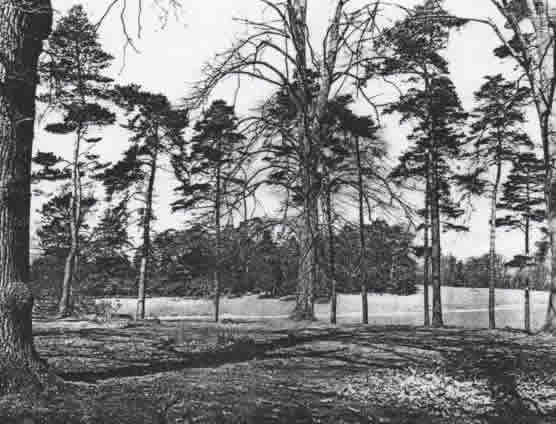 He did not have to look far given that the parkland north of the pleasant town of Sevenoaks and the adjoining woodland and pasture south and south-west of Riverhead was common land. He proceeded to ‘Enclose’ approximately 200 acres seemingly unconcerned that this involved diversion and even closure of existing paths and highways. New boundaries of Brittains, Dibden, Back Lane and the village of Riverhead itself were made readily identifiable by the erection of a great perimeter wall built of Kentish ragstone, remnants of which survive to this day. History remembers better General Wolff and his capture of Quebec but it was Jeffery Amherst who was to receive the ultimate surrender of the French at Montreal in 1760. Little surprise that Amherst called his new estate Montreal Park after his greatest triumph. Read more about Sir Jeffery Amherst. 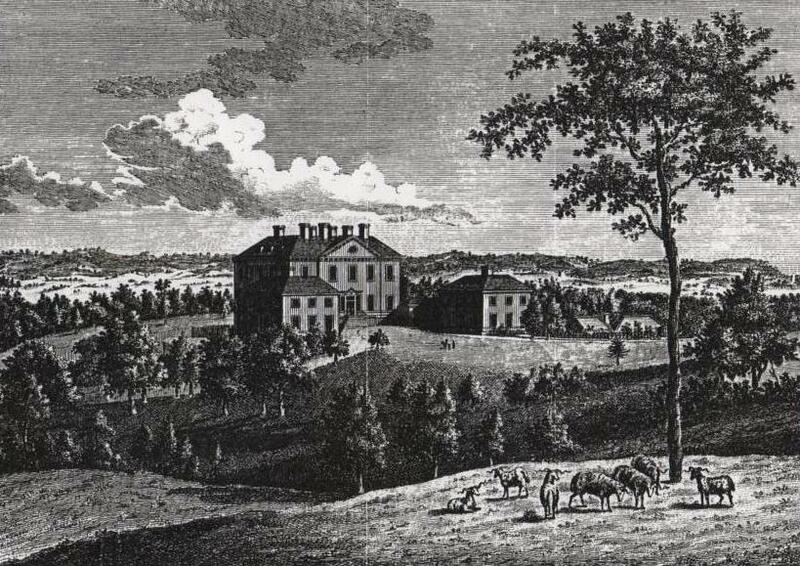 Amherst had a large house built in the Palladian style using the natural contours of the land to better the already commanding views of the surrounding countryside. 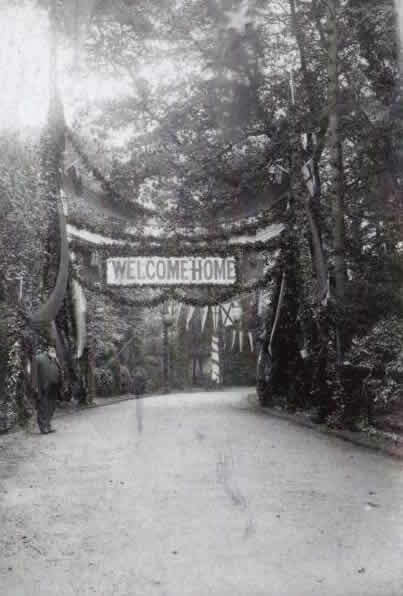 The King and Queen stayed in 1778, by which time Montreal had been enhanced with the construction of a naturally sweeping elegant driveway, the forerunner of Lyndhurst Drive today. Subsequently, the house evolved into a complex of buildings that served the needs of a working country estate. 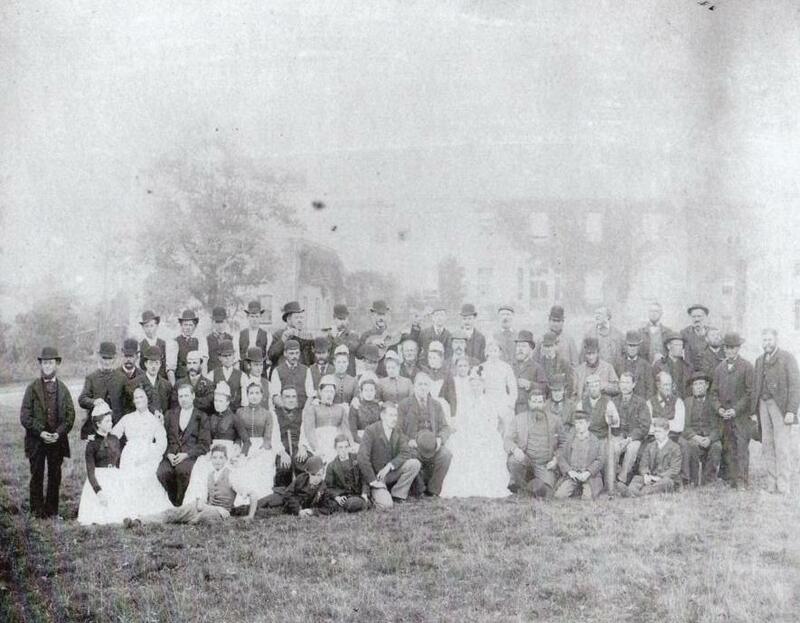 A total of five generations of Amhersts resided at Montreal Park and presided over first the expansion and then the contraction of the Montreal Estate which at its height grew to just under 4000 acres. Inevitably the prosperity of the village of Riverhead became inextricably linked with the changing fortunes of the Amhersts. Literally an army of agricultural labourers, foresters, gardeners and game keepers came to be employed by the Amhersts alongside a not inconsiderable domestic household. 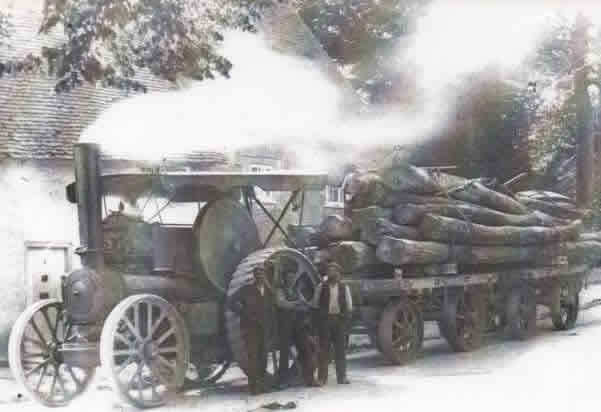 But Montreal Park could not escape the pain caused by tumbling land prices towards the end of the 19th Century and continued weaknesses in the years either side of the Great War. The revenues from rents, timber, quarrying royalties and even game shoots was insufficient to keep the Amhersts at Montreal. 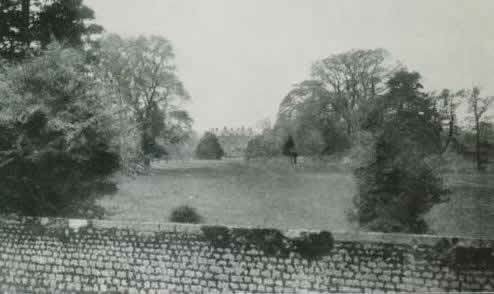 Photograph taken in the 1920s. 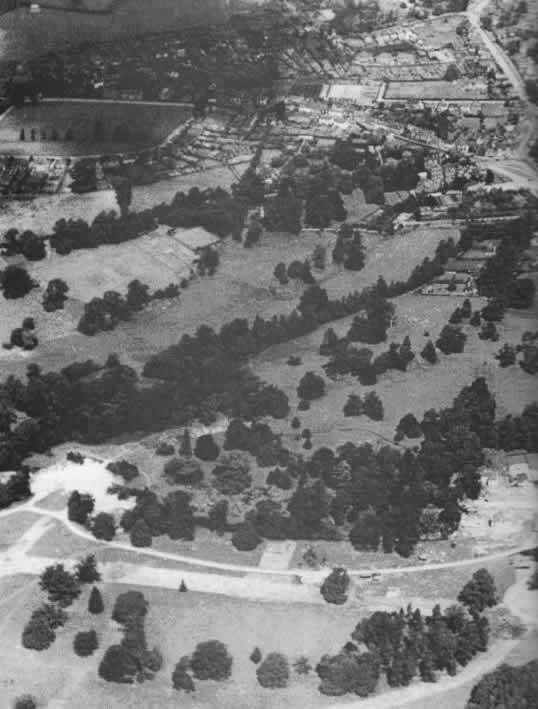 Piecemeal sales of outlying parcels of the Montreal Estate only deferred the inevitable Amherst demise until 1926 when the bulk of the Estate including the Park was sold to one Julius Runge, a wealthy City Businessman who resided at Kippington Court. Long before the encompassment of what we now call Green Belt, Runge was a passionate advocate of the preservation of the rural landscape. He never wanted to live at Montreal House which was allowed to fall into disrepair. He yearned that the beauty of the parkland be protected and in fact brought about covenants that sought to make any development within Montreal Park that much more difficult. His premature death in 1936 meant that Runge’s crusade lasted a mere ten years as not inconsiderable death duties compelled his heirs to put Montreal up for sale. Thorpe did not have to wait long to find a builder interested in making the Development Plan a reality and in August 1937 agreed with Fasey a staggered sale for a total of 160 acres of Montreal Park in four roughly equal tranches over a four year period up to 1941. Aware of growing opposition to high density housing, Fasey submitted an amended Development Plan No. 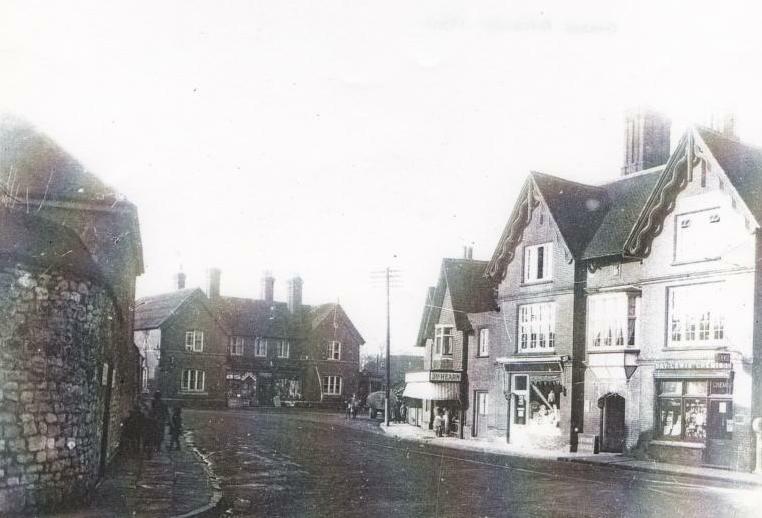 2 of 1938 which provided for fewer houses (513) which gained approval from both Thorpe and the Council. In later years, and partly due to the unforeseen circumstances of war, the staged conveyancing became the source of a protracted legal dispute between the two men that eventually had to go to the High Court. Also bearing down on them was the sea-change in post-War planning and the desire to preserve open countryside (or Green Belt) as espoused in the Abercrombie Report. 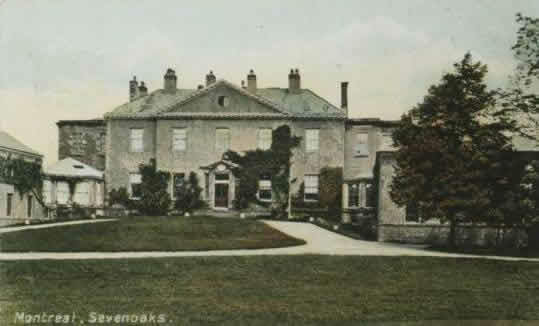 As early as 1946, Sevenoaks Council served notice that it intended to seek to revoke the Montreal Plan of 1938. Significantly, the Council did give approval for a development of approximately 60 acres which would permit 190 to 200 houses to be built. In essence this was what Fasey was to make a reality. Fasey had a preference for low density house construction. Already in his projects north of the Thames, he had targeted what he perceived to be the upper end of the housing market, namely detached dwellings. He wanted his houses to appear varied in style and (for their day) prestigious in appearance. They were to sit on roads the names of which were chosen as nice sounding or with pretensions of affluence. This did not stop him flirting with the idea of some chalet bungalows for Montreal, an idea that was shelved mostly because of the intense hostility of prospective buyers! Of the original six designs for his detached dwellings, three were subsequently abandoned (not one house on Montreal was built to the design of Types A, C or D). A further three designs were put forward, only two of which were chosen by purchasers. Type F was by far and away the most popular design chosen until later in the development a larger version of Type G (GII or G Amended) was offered with the addition of an extra reception room on the ground floor. The decade of development can be broadly broken down into four construction phases. 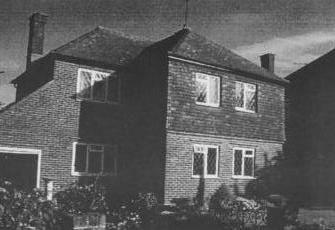 To even get started on Phase One Fasey had to raise funds by selling two plots of land in 1952 (No 2 Lyndhurst Drive & No 2 Marlborough Crescent which were thereby constructed by other builders!) Between 1952 and 1956 Fasey concentrated on ‘Old’ Marlborough Crescent, all of the houses on which sold for between £4000 and £4500. In those days, a detached garage cost £165 which was £15 more expensive than its attached counter-part and central heating was only installed for an extra consideration. It became standard by the end of the 1950s. 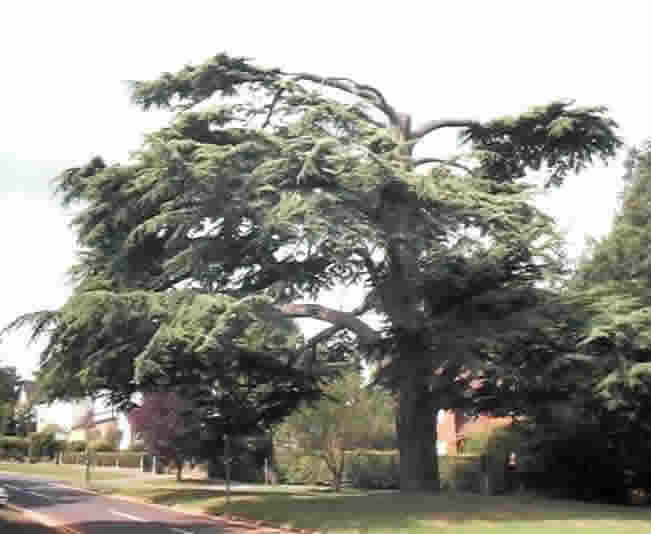 The kidney-shaped nature of the Estate with Marlborough circumferential and Lyndhurst diametrical allowed for a cul-de-sac development of just under 20 houses. 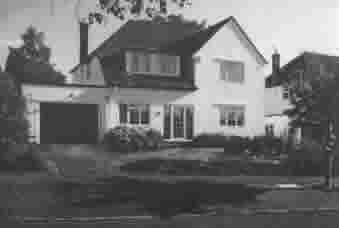 Thus The Close was Phase Two with all the houses built in 1957 and all selling within a few pounds of £4500. 1958 and 1959 was devoted to Lyndhurst Drive and then ‘New’ Marlborough completed the development with the last houses in Phase Four conveyed in 1963. The most expensive price paid on the Estate was £8450 and that included the then luxury of an attached double garage! 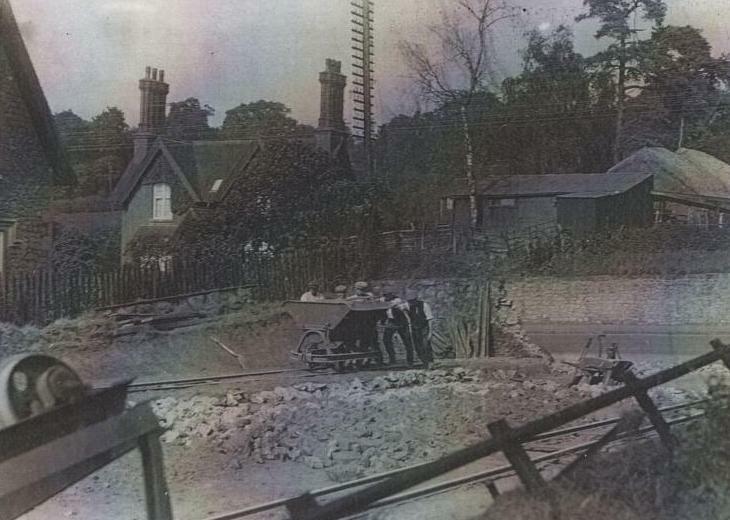 Tarmac for cul-de-sac being laid in 1931. 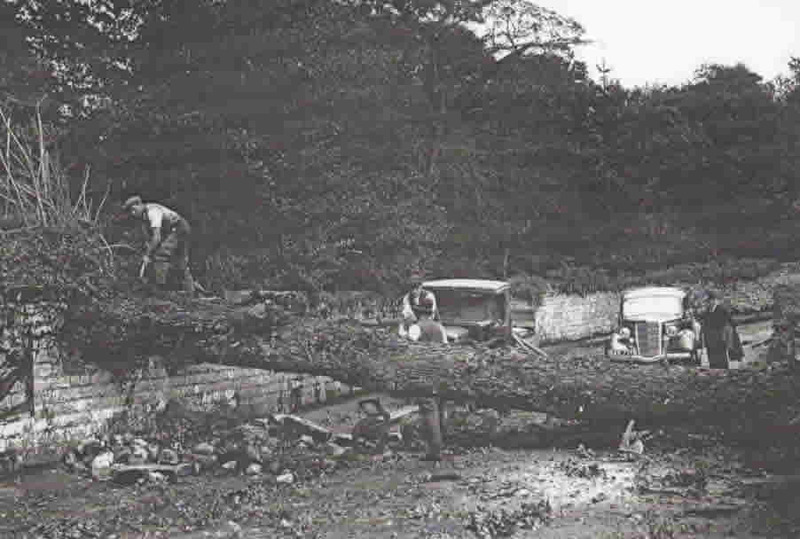 The road gets laid in 1938. 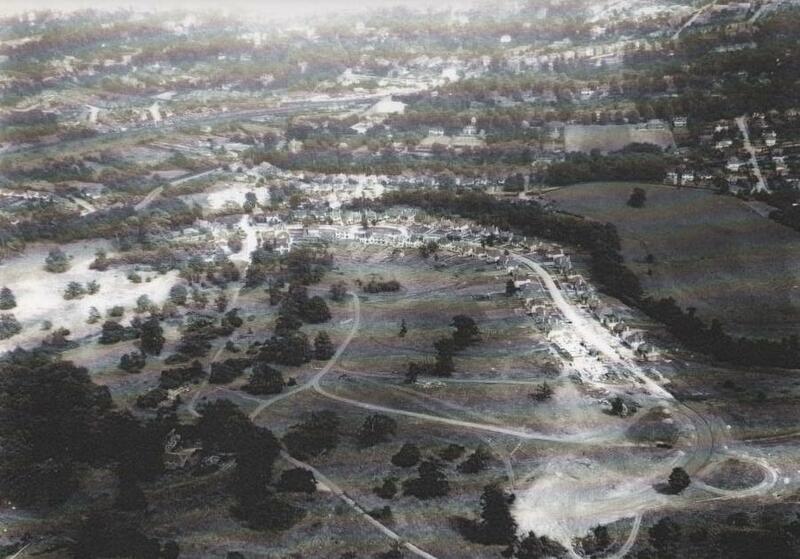 Fasey never lived to see the completion of the development of Montreal Park though he did reserve for his successors including son Tony the right to receive two guineas or an otherwise appropriate sum in return for granting agreement to home alterations or extensions. Such entitlement continues to be enshrined in our deeds even to this day. One wonders how often this is invoked or even acknowledged given the huge amount of extension work that has taken place in recent years. stands on its own piece of land within the garden of No. 81 Marlborough Crescent and is soon to benefit from a much needed restoration project. 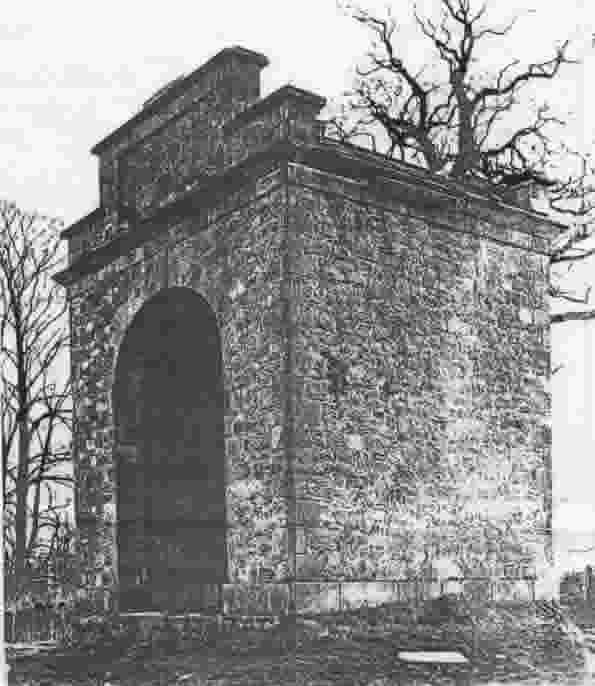 Read more about the obelisk and Sir Jeffery Amherst. The most frequent question I get asked concerns how prices have moved during the last 50 years. A local Estate Agent recalls hosting a party in 1968 when the first house on Montreal Park achieved £12000. £35000 was what was being commanded by 1975. By the late 1980s, £300,000 was achieved although the housing recession of the early 1990s saw this figure slump by nearly 50%! £400,000 seems to have been the going rate at the turn of the millennium and as at the time of concluding this short history today’s prices are getting close to double that figure. 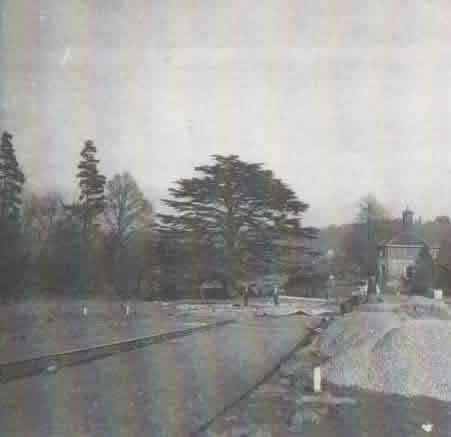 The story of Montreal Park, which was chronicled in a book by David Nunnerley: 'A History of Montreal Park, Sevenoaks', is how well it reconciles the conflicting pressures between the need for residential development and the equally passionate desire to preserve our rural heritage. This is not an uncommon dilemma. Ultimately only we the community, only we the residents of Montreal Park, can judge how successfully the development harmonises with its unique environment.